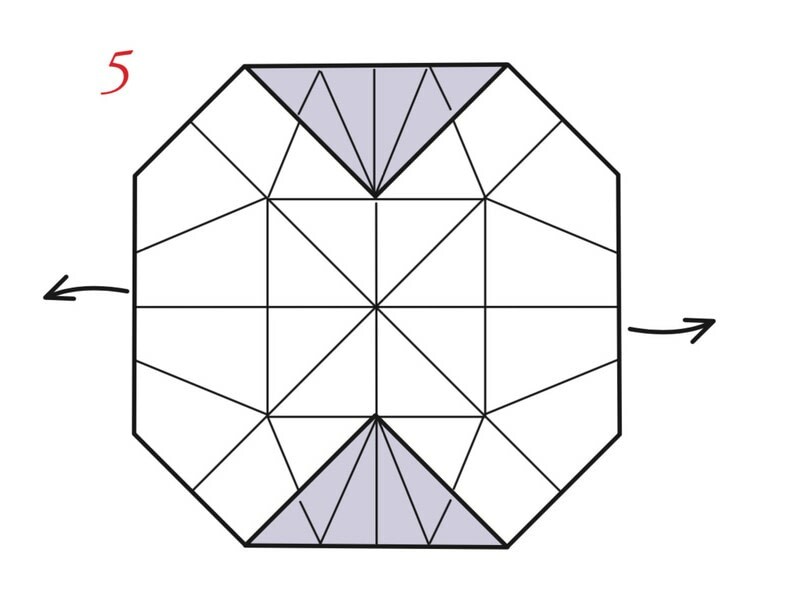 A few changes in the early steps will yield a deeper base. 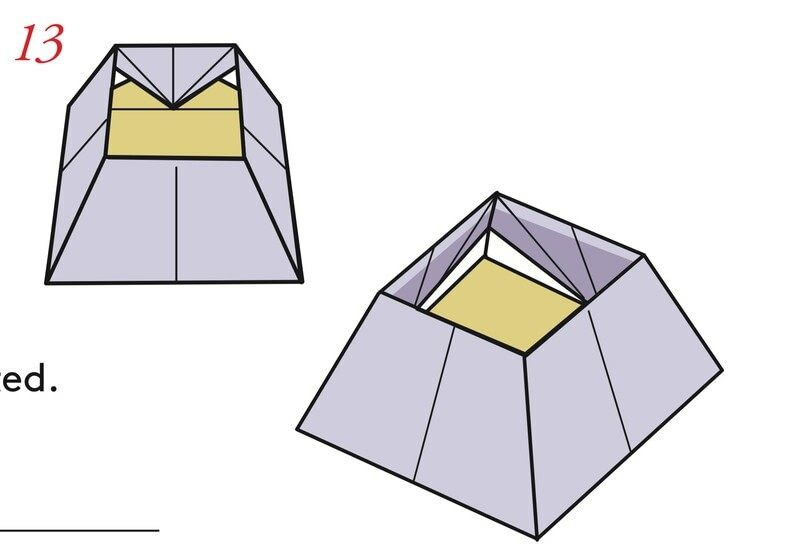 An insert reinforces the bottom. 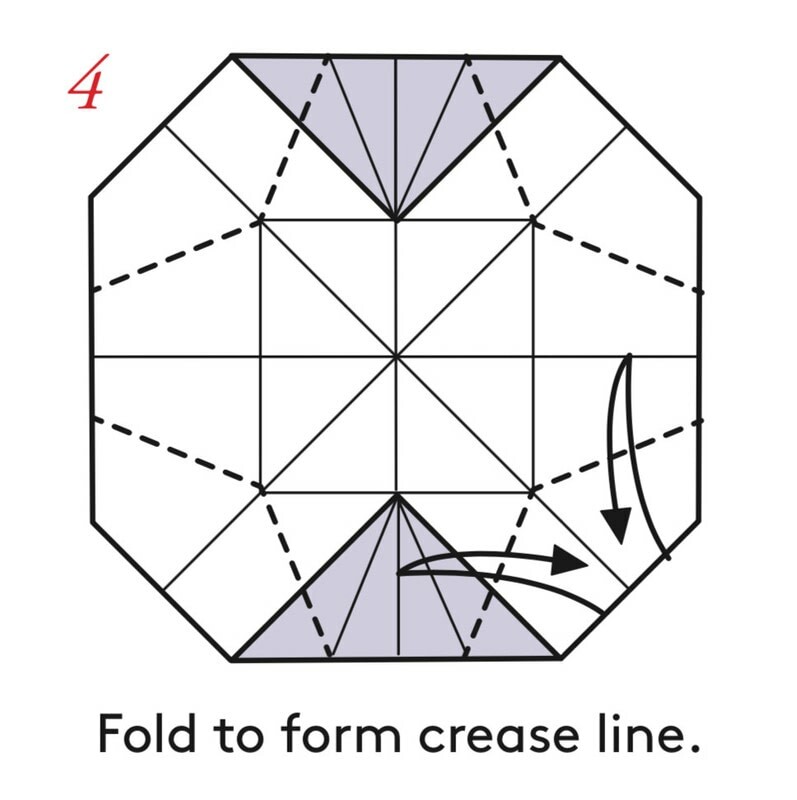 © 2019 Tomoko Fuse / Tuttle Publishing · Reproduced with permission. 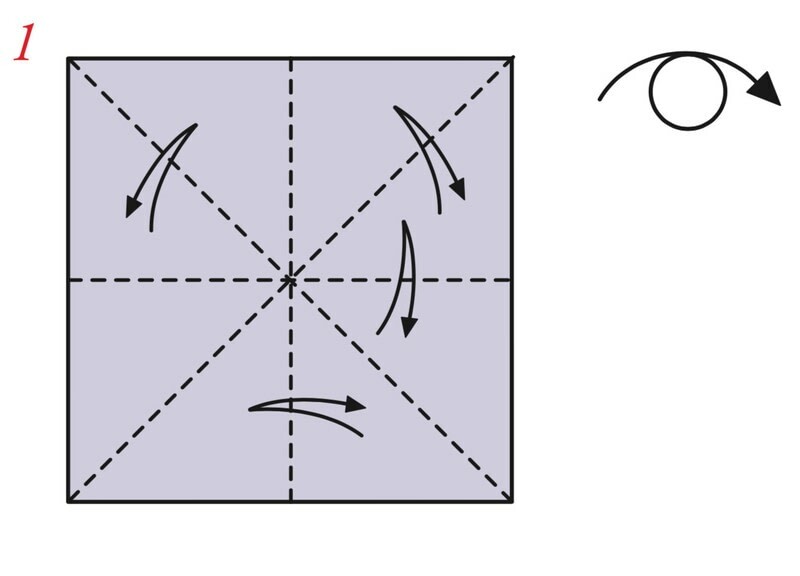 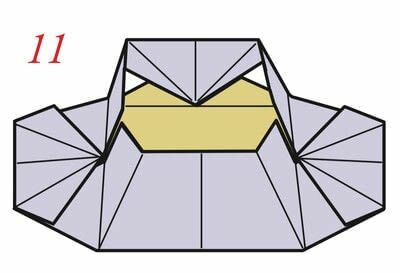 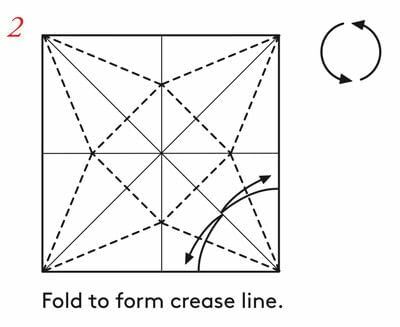 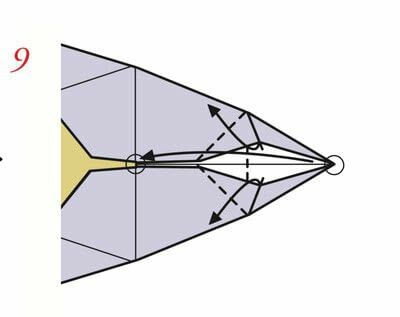 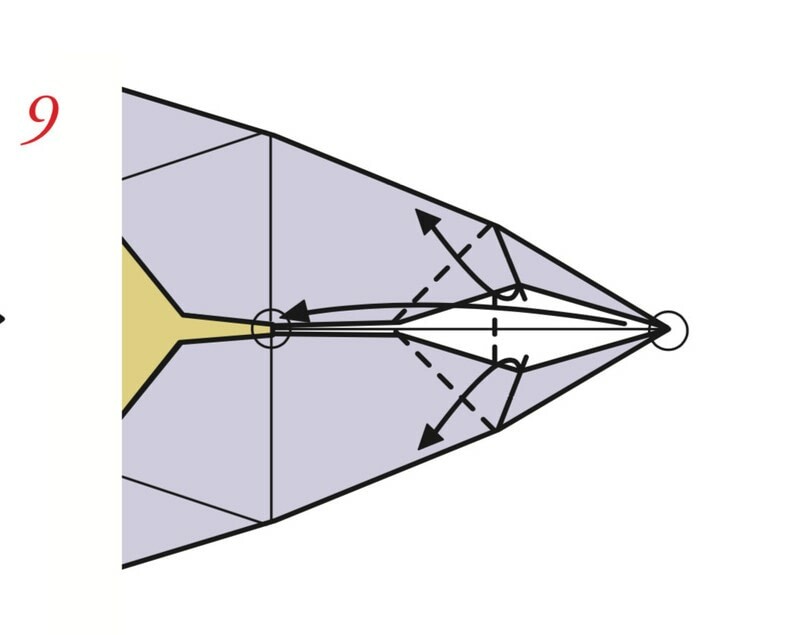 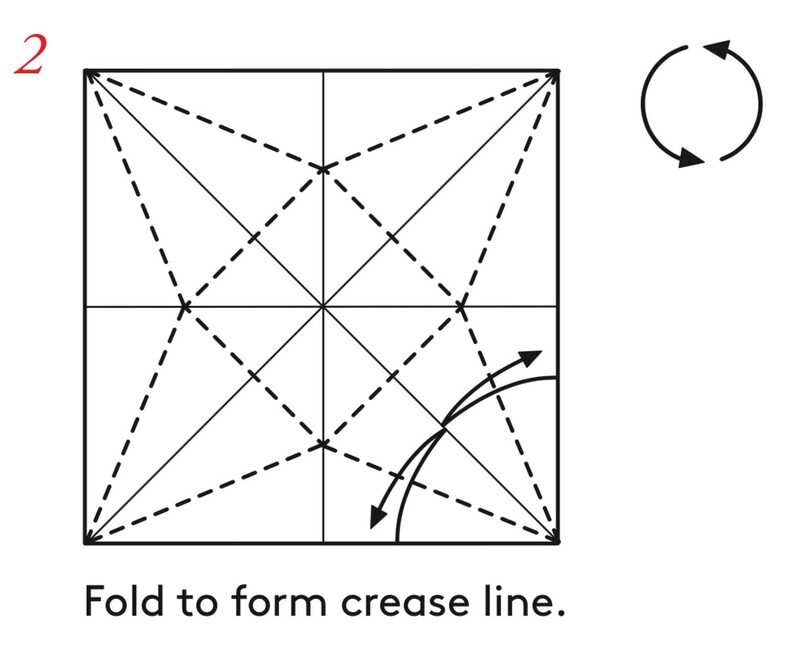 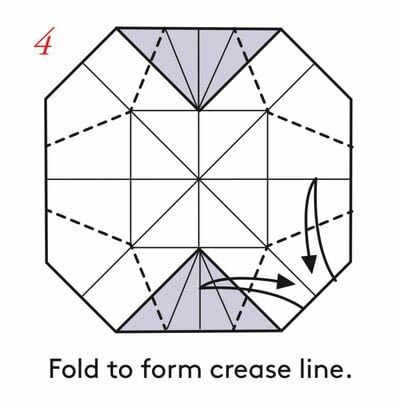 Fold to form crease line. 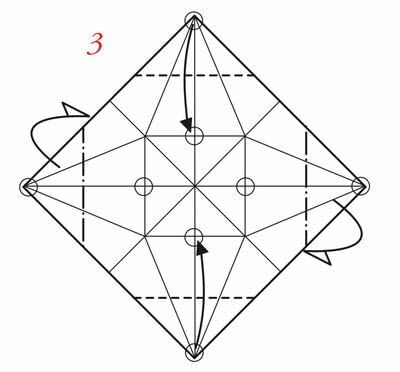 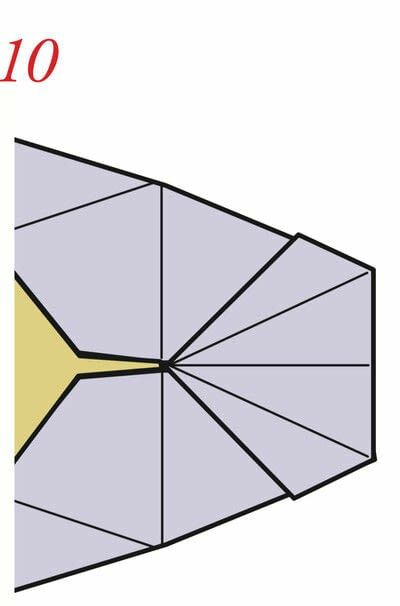 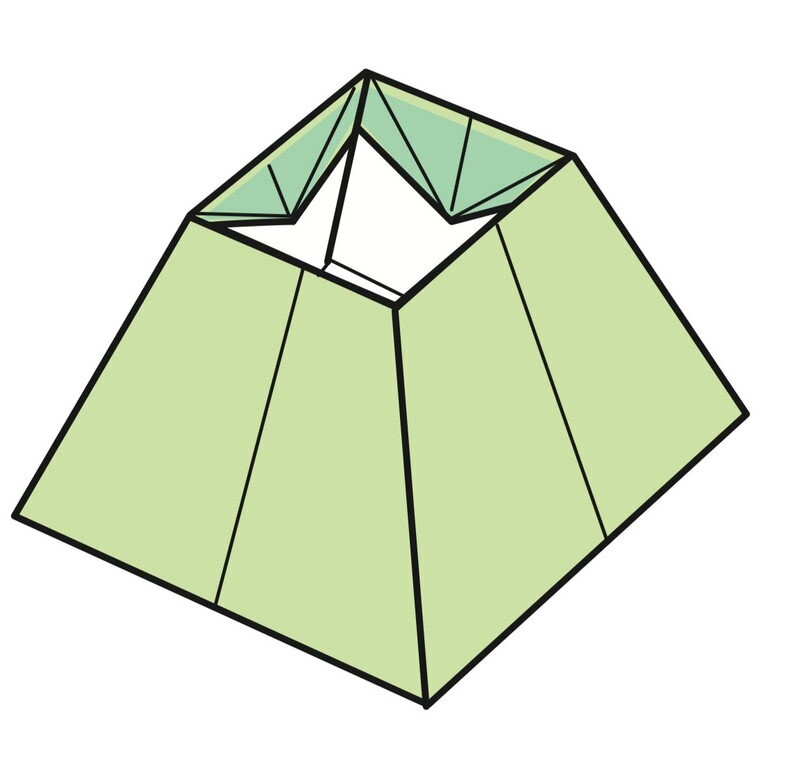 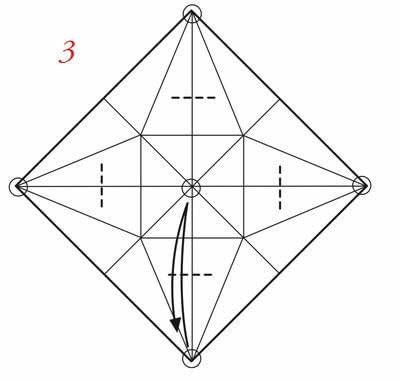 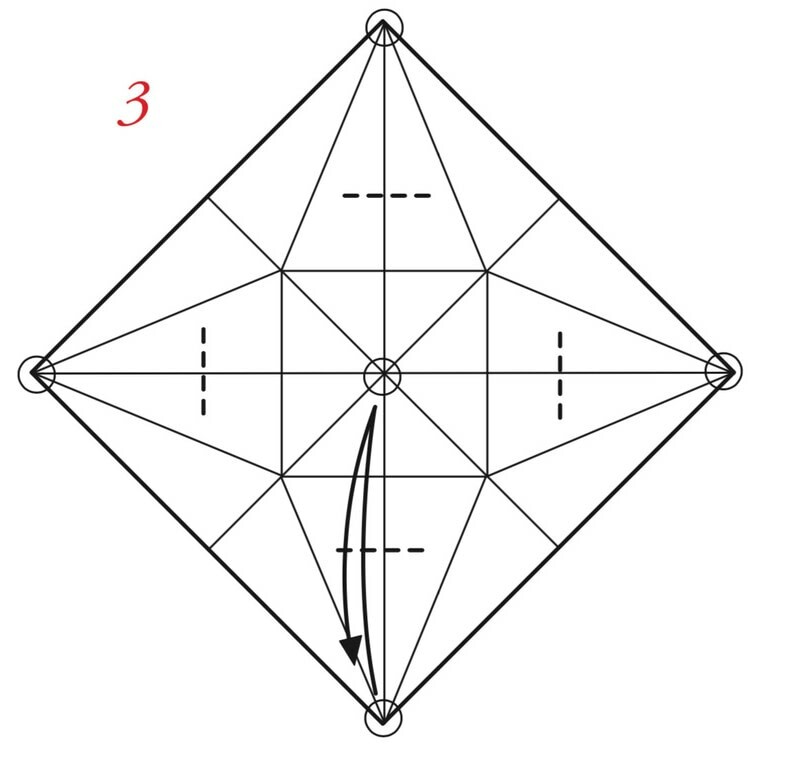 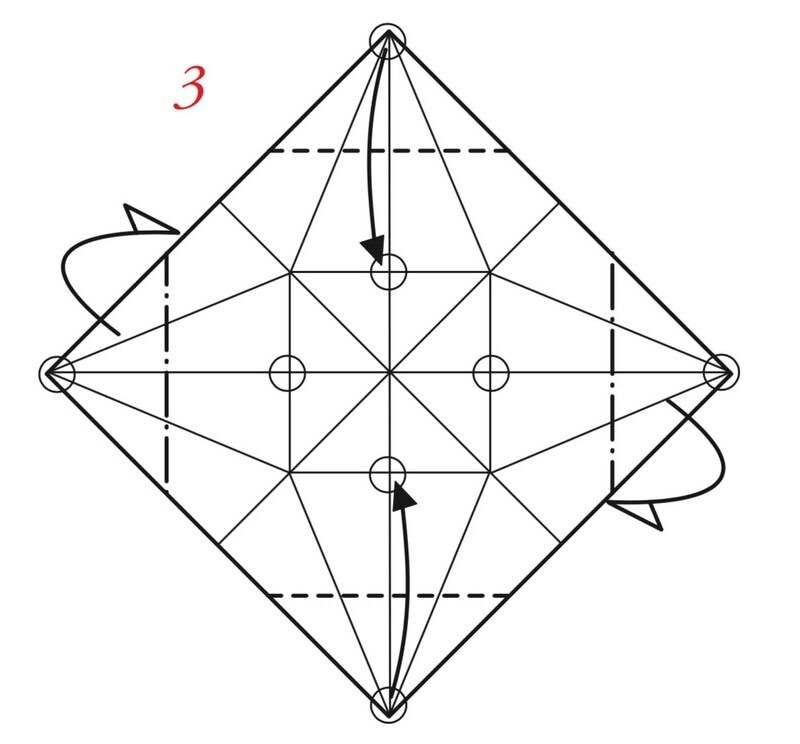 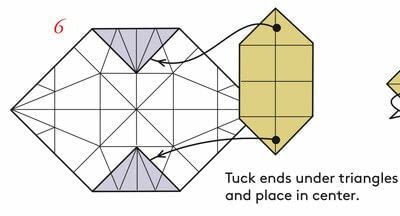 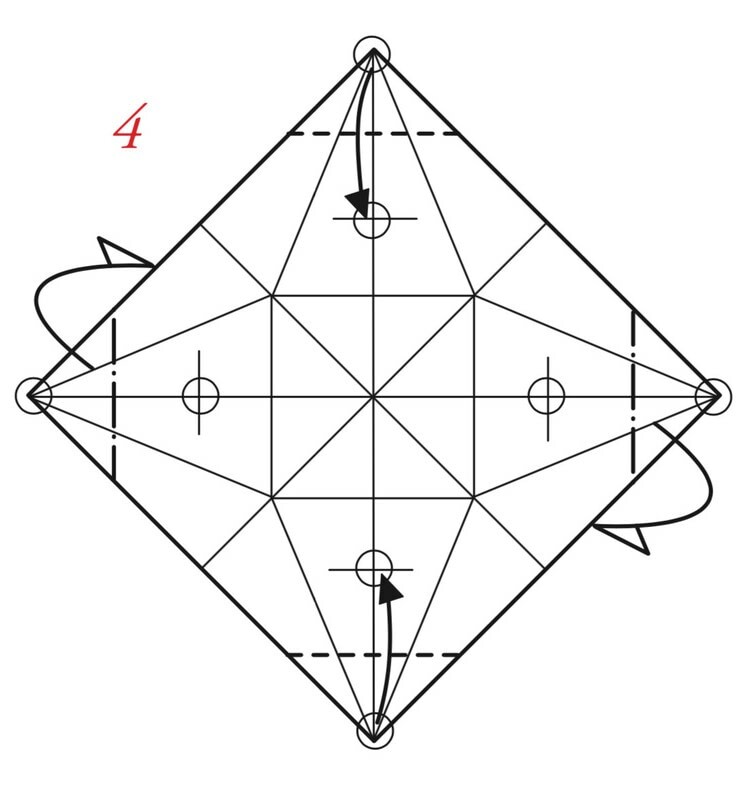 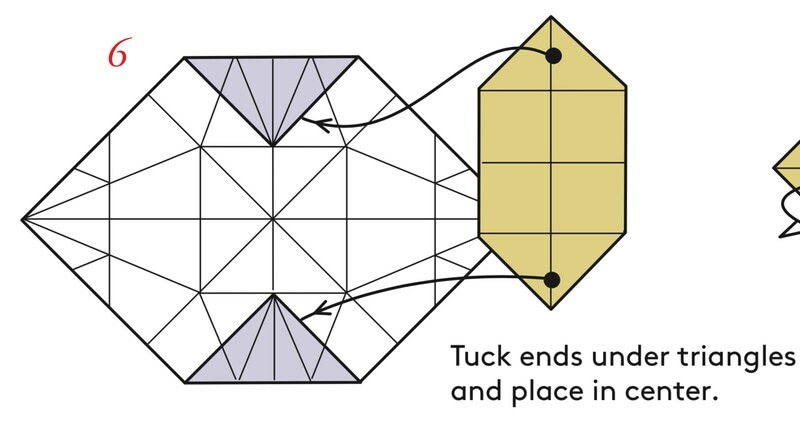 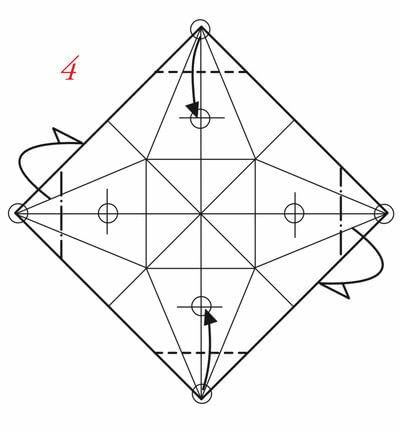 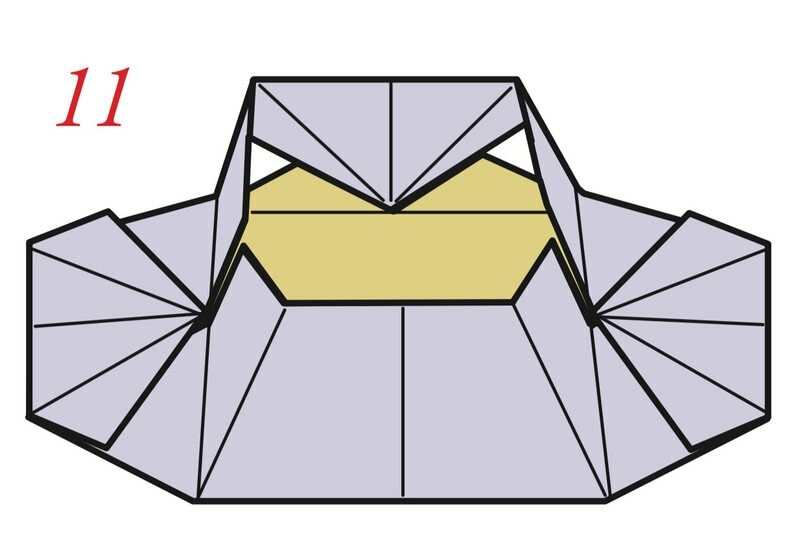 Tuck ends under triangles and place in center. 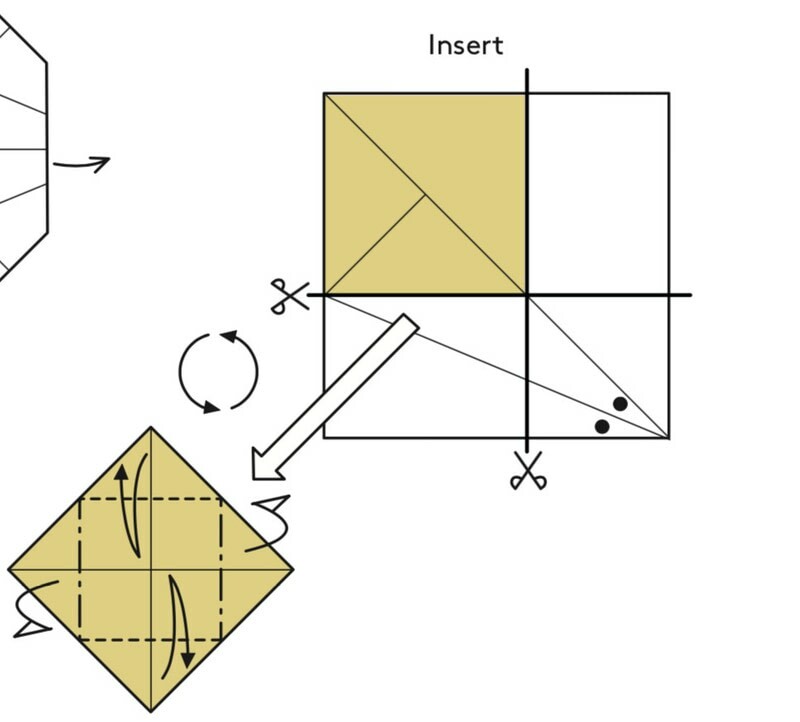 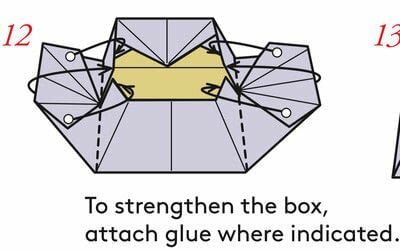 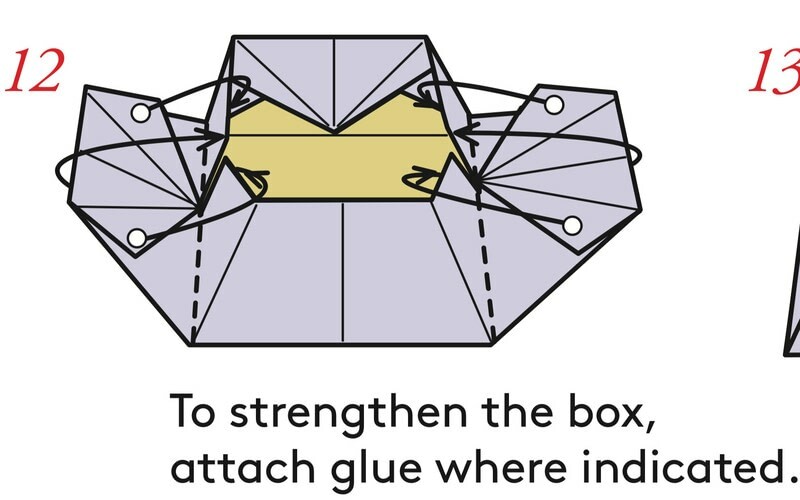 To strengthen the box, attach glue where indicated. 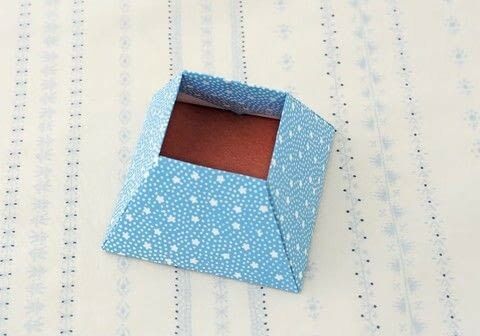 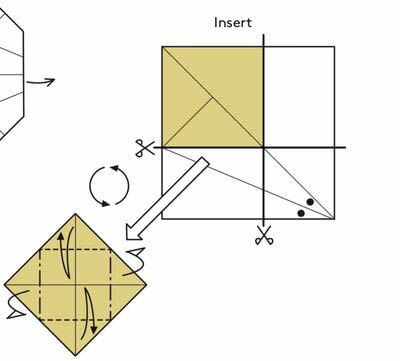 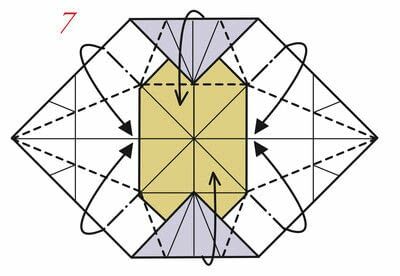 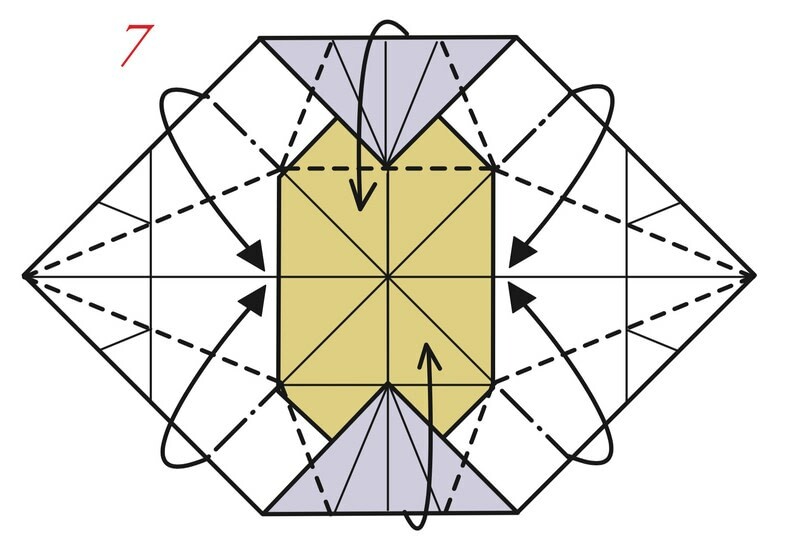 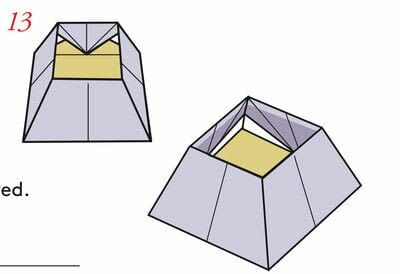 Complete the rest of the box using steps 4-13 on pages 22 and 23.